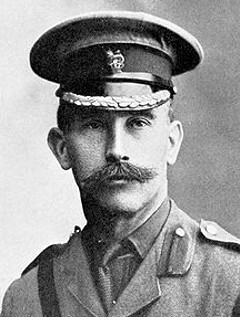 Ernest Dunlop Swinton (1868–1951) was a military writer and British Army officer. Born in Bangalore, India, he became an officer in the Corps of Royal Engineers in 1888. During the Second Boer War, he received the Distinguished Service Order; in the years leading up to World War I, he served as a staff officer and an official historian of the Russo-Japanese War. His works include The Green Curve, The Study of War, Eyewitness, and An Eastern Odyssey.